Today we got to go and retrieve our pit fall traps from the forest and see how many insects crawled into the vials. The collecting took a short amount of time- it seems as though we have gotten fitter within the past few days and are now able to trek through the forest swiftly with apt agility. I only stopped to catch my breath twice every ten minutes. Progress! 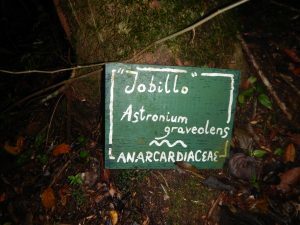 On our way out, I saw a tree I have never seen before called “Jobillo” (Astronium graveolens). I saw several of the growing along side the main road San Pastor. They are frequently used for wood, like mahogany. We found a brown anole on one of them, and I got the chance to catch it. Later in the lab, we needed to inspect the contents of our vials and see if our hypotheses were correct. We assigned each group such as ants, spiders, beetles, etc., to one “expert” (i.e one of us students) who would be able to divided them into “species” based on what they looked like. We came up with 52 unique species across all our samples, including many very large beetles about the size of a half dollar coin. We took a lovely break from data analyzing and stood in the afternoon rain. It is only that we get rained on in the rainforest at least one time. 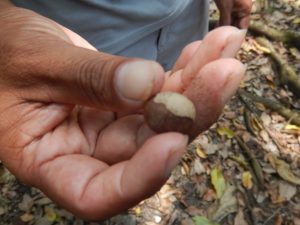 Right afterwards, I looked into some field book and decided that the spherical shaped fruit that I talked about earlier are breadnuts. They are eaten by many animals, such as the peccary, several different birds and deer. 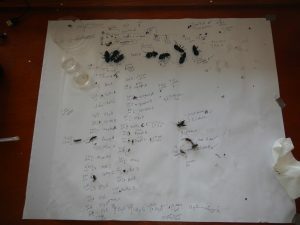 In our vials, we found more insects in the ground vials than in the canopy vials. 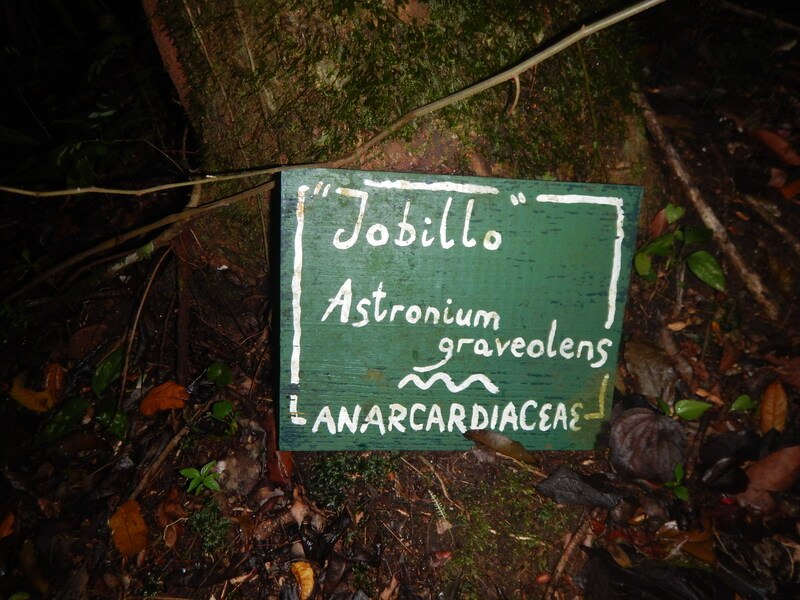 We also found more insects in the *hem* nitrogen source *hem* than in the water source in the canopy vials. In the ground vials however, we found more insects in the ground water than in the This indicates that canopy insects are more limited by resources such as nitrogen that ground insects are. The leaf litter and other decomposing matter on the forest floor probably provide the insects and other living things with a source of nitrogen. Later in the evening, we presented the data from our experiment to a student group from the University of Southern Mississippi. PS: Adrienne, we miss you!